It's getting warmer here in N.C. Fingers crossed, we have covered the plum tree for the last time to protect it from late frosts. With warmer weather comes the opportunity to visit our NC Mountains for days out. That is still a month or more away as their season hasn't started yet. For this page, I remembered a trip last summer where I spent a lovely day by myself walking, reading, shopping and enjoying the cool mountain air. 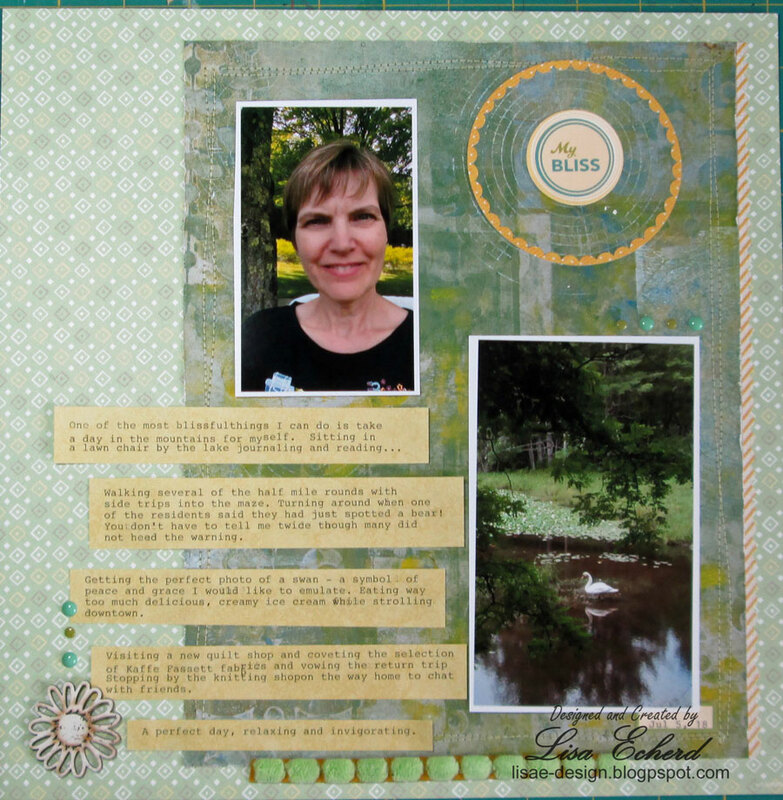 One of the background papers is from a gelli print video I did awhile back. I said in the video that it is linked with the little "i" symbol in the right corner. Apparently YouTube has done away with that feature, too so it is linked in the description.